If your home feels gloomy and dark lately, even when the curtains are open and the sun is up in the sky, the problem may be in your windows. Clean your windows and invite the sunlight into your home. We, at Cleaning Uxbridge, have an even better idea – rely on our top-notch window cleaning in Uxbridge and let us take care of that time-consuming task. We bet that you already have enough on your hands and we will happily offer you our expert assistance without forcing you to break the bank. Why use our trusted window cleaning in Uxbridge? Many people prefer to clean their windows alone thinking that this is an easy chore that does not require any special tools, skills or experience. In reality, however, this is not the case. Our highly qualified and competent window cleaners are properly equipped and professionally trained. They will clean your windows without leaving any streaks and smears. That is because they have plenty of experience and they have access to telescopic poles, T-bars, microfibre washers, squeegees and many other types of professional window cleaning equipment. Also, some cleaning jobs can be quite risky, especially if the windows that need to be cleaned are not on the first storey. In such cases, our diligent professional will use water-fed poles, ladders and other innovative tools. Our licensed and insured cleaning technicians are familiar not only with various professional window cleaning techniques but also with the safety rules in our industry. So, by using our reliable window cleaning service in Uxbridge, you will ensure not only that your windows are perfectly clean but also that you are not exposed to any risks during the cleaning process itself. Upon contacting us, our polite consultants will offer you a free instant quote which can also be customised by your demand. We will schedule the cleaning visitation on a day of your choice. It can be a weekend or even a bank holiday since we, from Cleaning Uxbridge, work seven days of the week. Prior to large-scale window cleaning tasks, we like to do a quick on-site inspection so that we know exactly how many cleaning experts to send and what type of cleaning tools to prepare. Our secure window cleaning in Uxbridge is quite comprehensive since it can include the cleaning of windows from the inside and from the outside. Plus, our dependable and friendly window cleaners can also wipe and clean window sills and frames and this means that you will get an all-round service for your money. We work with seasoned and certified window cleaners in Uxbridge who have been checked, trained and fully insured. They work in a time-efficient manner and they can clean every window of your home quickly but also very effectively. We are proud of our courteous pros who are always ready to give our clients a free cleaning tip. 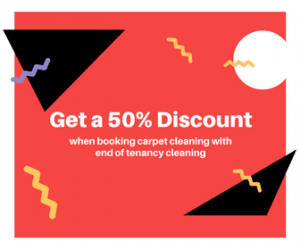 Our professional window cleaning service in Uxbridge is, of course, not free but it is so budget-friendly that you will be tempted to start using it on a more frequent basis. We have many great deals and our prices are fair. We, from Cleaning Uxbridge, can provide you with stress-free window cleaning in Uxbridge regardless of the type of windows you want us to clean. We can sanitise the windows of a semi-detached, detached, terraced and other kinds of houses. Our team can also be hired for the cleaning of a flat’s windows. We are ready to for any challenge.